Short-term Church Support. Long-term Solutions. From infancy, babies learn trust. When a baby cries, they are soothed; when they are hungry, someone makes sure they are fed; when a baby has a wet diaper, their diaper is changed and they are made comfortable again. When children are left with competent, loving leaders for a period of time, they learn their parents will return to them. TRUST is vital on our spiritual journey. How will a child ever trust Jesus as their Savior if they are denied opportunities of learning to trust? Preschoolers trust people at church to meet their needs. 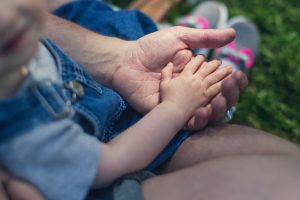 At this young age, they are learning that people at church love them and in turn, preschoolers are forming their attitudes about church, God, Jesus and others. Providing loving, trained and prepared teachers at church helps children and their parents feel happy and secure. What are some ways your church is assisting parents in teaching trust to little children? How are you helping children form their attitudes about church? God? Jesus? others? Cathy Hopkins, one of our partners, is based in Fayetteville, North Carolina. Her primary focus is working alongside churches in children and family matters. For more information about how she can help you, contact her at 919.612.1085 or cathybhopkins@gmail.com . Keep up with the latest news from the partnership. Comments from churches and ministers who have worked with the partnership. 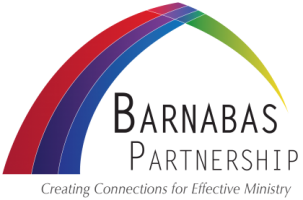 Barnabas Partnership © 2019. All Rights Reserved.